The most radical part of the renovation was the construction of a new entrance. 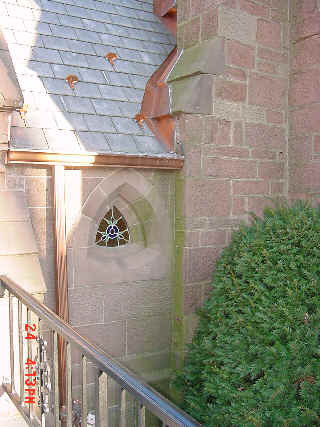 Stones from the facade were removed, and a new sheltered entry and stairway was built in the same style as the Chapel. This entrance was tucked within the facade buttresses. The stone, laid cross-bedded, was cut in a finer and more uniform style, like that used for the construction of the Seminary Building (Presidents Hall) in 1866. 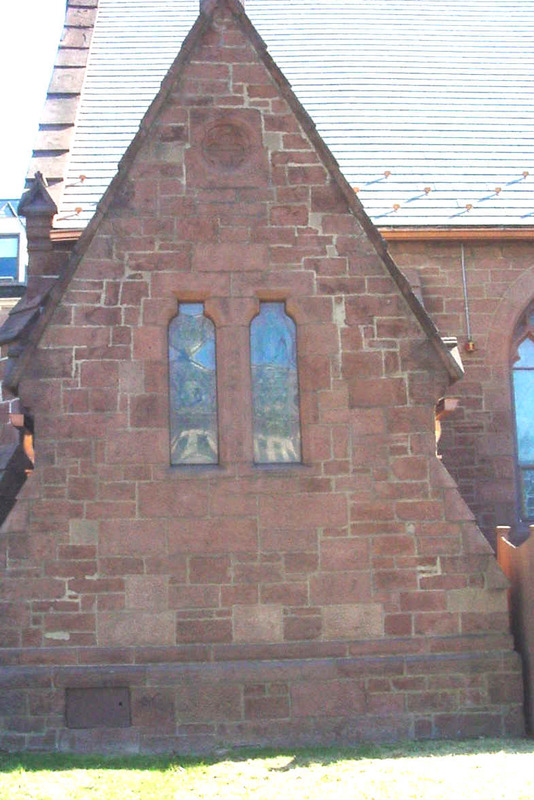 The new entry tucked into the facade buttresses. 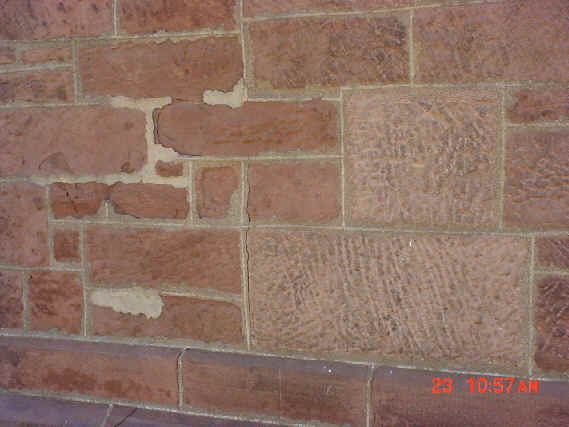 The interior shows the old and new stones interlocked. 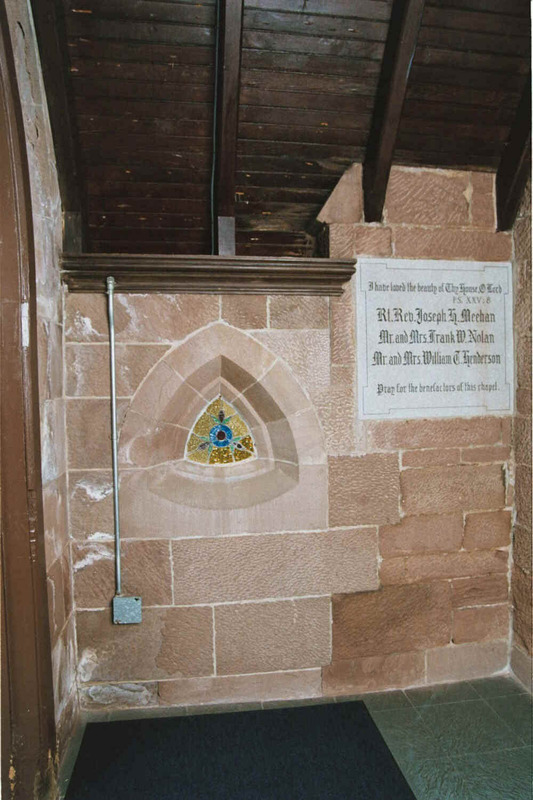 The memorial stone was placed during the interior renovations of 1963. The old entry was sealed, the interior converted into the Chapel of the Sacred Heart (Now the Mother Seton Chapel). Once again we see the old and the new stone. The windows in the old entry are familiar. They were formerly in the center of the lower portion of the facade. When removing the stones from the facade for the new entry in the front, the builders saved the already cut stones that formed the frame of the windows and placed them within the new wall sealing the old entry. The old entry with the stone window frames from the facade. When we look closely, once again we see the old and new stones interlocked.